Available in quickship with choice of approx 20 fabrics or choose from over 100 fabrics for a longer production time. All hardwood frame with interlocking construction. Advanced unidirectional web seating suspension. 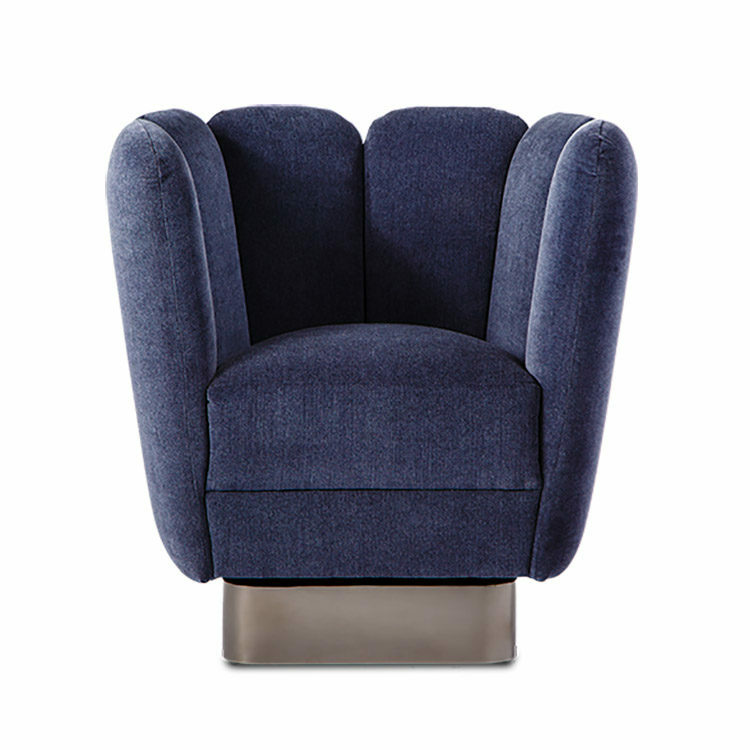 Tight seat and back with premium polyurethane foam and 100% polyester fiber. Available with metal swivel or stationary base in gunmetal, as shown, or shiny brass finish.